Click on the Schedule button in the navigation bar on the top of your Shyft website to schedule a video survey for Shyft to perform on your behalf. NOTE: If your Schedule button does not show, send an email to support@shyftmoving.com or use a Chat button in the bottom right-hand corner of your screen to get the assistance. First, choose the appropriate Event. This will tell us what kind of move it is and if you are requesting a cube sheet or just the video survey. Next, change the event to the customer's time zone if needed (1). This is at the top right of the page. Otherwise, a survey will be in the timezone that your computer is set. Choose the date of the survey (2). Choose the time and click on Confirm. NOTE: only available times will be displayed. Enter your customer's email if you want them to receive the automated confirmation email. (You can enter your email if you would like to receive the email, then forward it to your customer. You will not get any other confirmation). Enter your email and first name so that we will know who to give the complete survey and cube sheet to (if requested). 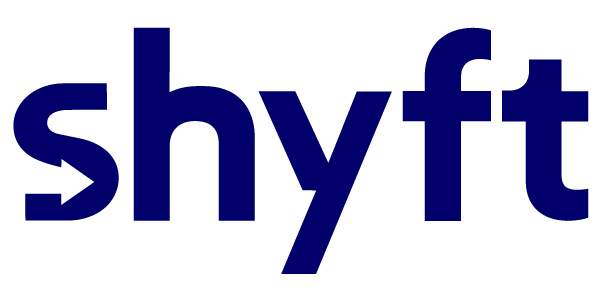 Enter your first name so that shyft may use it during the survey and create a team handoff for the estimate or survey results. Enter any notes for the surveyor to help Shyft perform successfully and create a nice warm handoff back to you. In the end, click on Schedule Event. Your request will be forwarded to Shyft directly.